We’re not much more than six weeks away from the DPS conference in France where Meg and I (but mostly Meg) are presenting our (but mostly Meg’s) work on estimating the number of planets revealed by Planet Hunters’ analysis of Kepler data. For many of us working on or taking part in Planet Hunters, the motivation is discovery – and who wouldn’t want a piece of cosmic real estate, a planet discovered through our efforts? Much of the Keck follow-up we’ve been doing has been aimed at exactly this, but it’s not easy. Kepler, you see, was never really designed as a mission which would definitively pin down the discovery of a vast number of new planets. Most of the 160,000 or so stars being monitored in the Kepler field are faint, on the limits of what can be easily studied from the ground. That’s why – even with 1235 candidates on the scoreboard at the Kepler site this morning, only 17 have been confirmed. But this doesn’t matter. 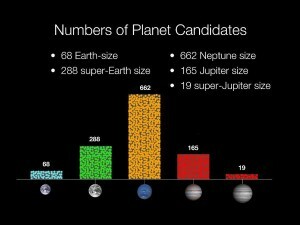 The main science goal for Kepler is to characterize the population of planets that are lurking out there – to determine how many Jupiter-, Neptune- and, of course, Earth-like planets there might be. If we know, for example, that only 95% of Neptune-sized planet detections are real, then we need not waste time determining which are the 1 in 20 that are confusing the sample. How would we come up with that 95% number? 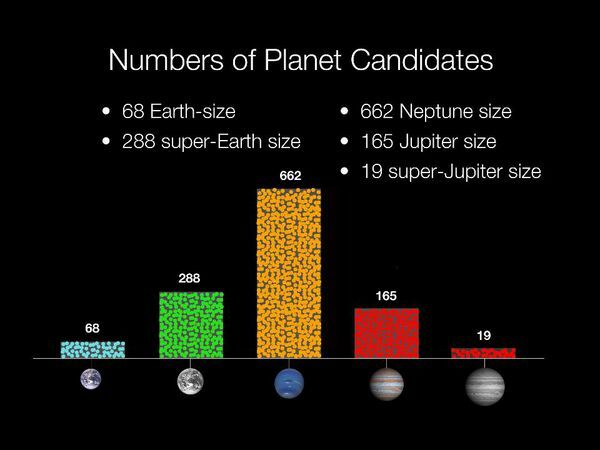 The Kepler team could measure the number of false positives – planet candidates that aren’t actually planets – by following up on a carefully selected subset of their candidates. In fact, you can read what they’ve been up to in this paper from February. But what about false negatives – planets that the Kepler pipeline passed by? We already suspect that Planet Hunters have been successful in finding candidates that the Kepler team originally missed. It’s here that we can help, and that’s the thrust of the work that we’ll be presenting at DPS. If all goes well, we should be able to make an independent estimate of the frequencies of types of planets.